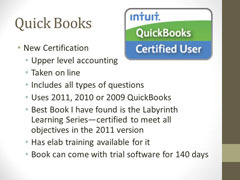 Here are the major details for QuickBooks. There is an exam and practice tests with a site license purchase. Contact for details.